If you are a guitar player or someone who has recently taken up the instrument, then you know the absolute necessity of writing down chords and frets to practice. 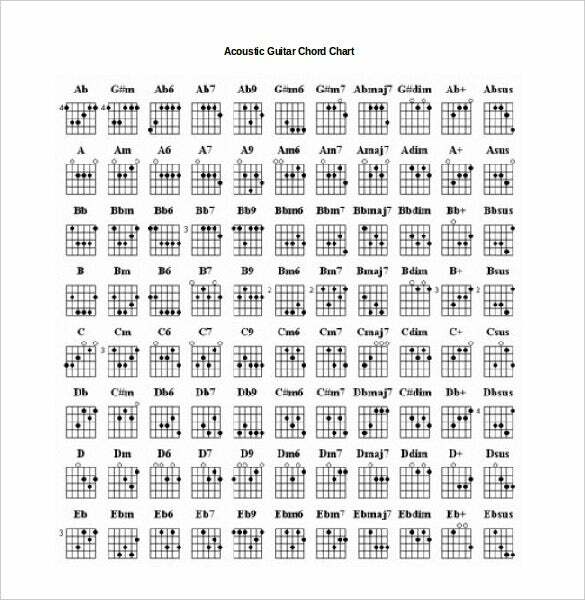 It so happens that using Microsoft Word to create your own Guitar Chord Chart Template in word format has its perks. Firstly, it makes for a more organized approach to writing chords and secondly, it is available as a free download on the internet. Interested? Read along. 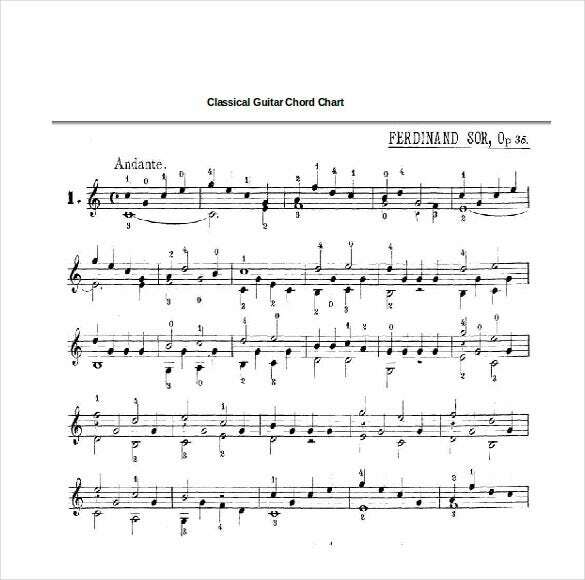 Guitar Pentatonic Sheet – A sheet that lists minor and major scales using five pitches every octave. Fingerstyle Solo Chord sheet – Lists the fret arrangement specially made for the fingerstyle players. It is often written for a solo performance. 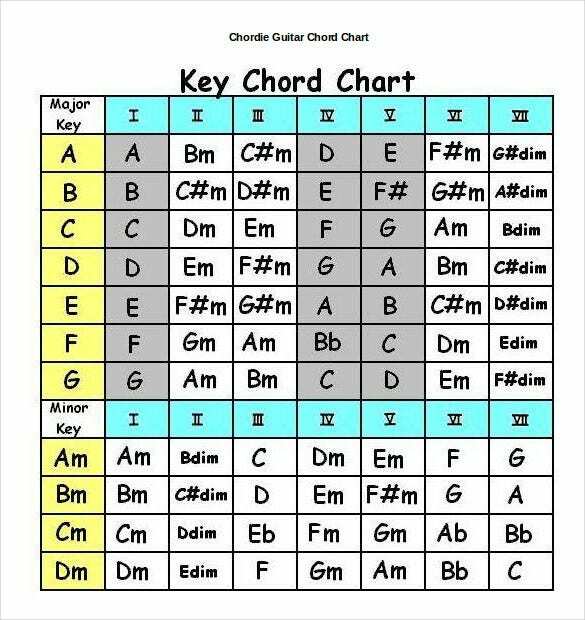 Chord progression chart – Is often a beginner type sheet that is used to let new players know what frets are being used in what manner. 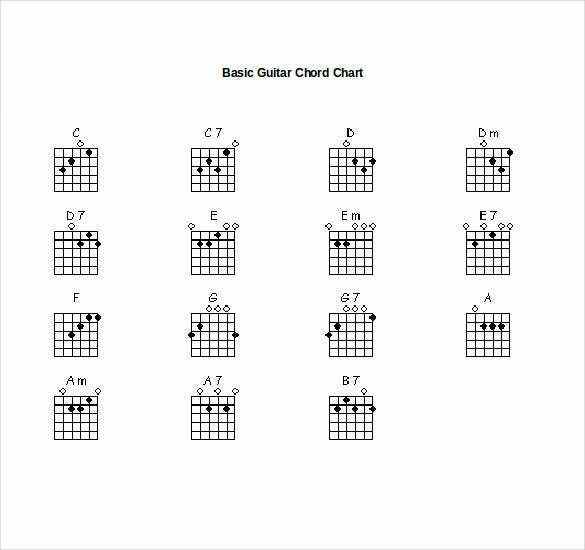 Diminished Guitar Chord sheet – Unstable chords or chords that you won’t be using often while playing. 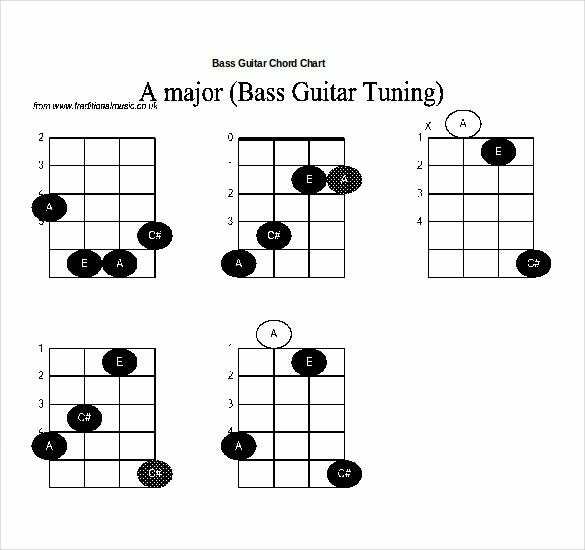 easiestwayguitar.com Use our innovative guitar chord for beginners template to create the right pattern and structures for the chord charts. The template is available for free download. 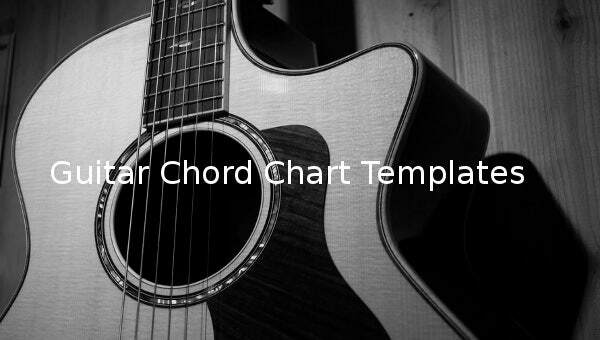 The template comes with a perfectly structured format to make it easier for you to develop the chord charts. The template can be downloaded in word format. guitaristmarkmarshall.com Creative minds will find this template extremely effective. 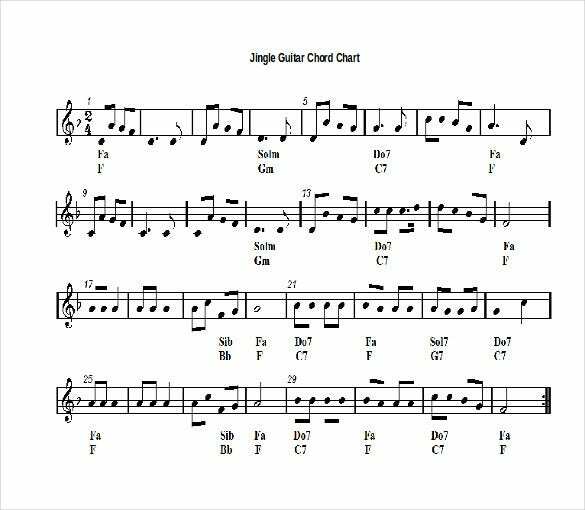 Using this template, you can easily note down the newly created guitar chord chart songs. 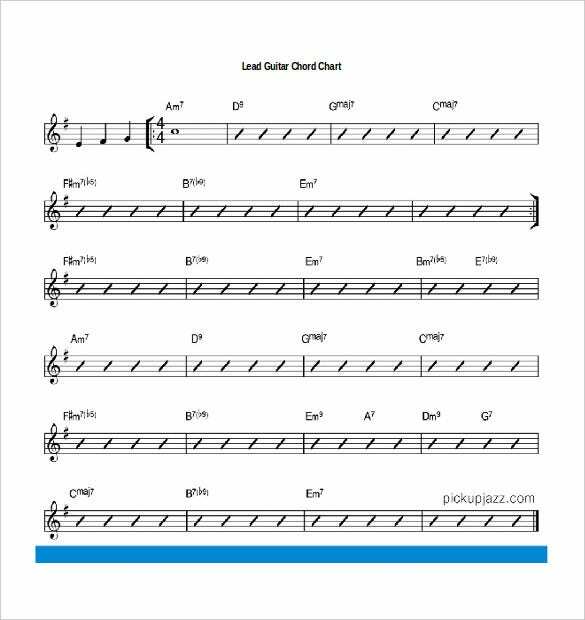 The template comes with perfect format to make it easier to jot down the tune. The template is free to download. It can be downloaded in Word format and is totally printer friendly. 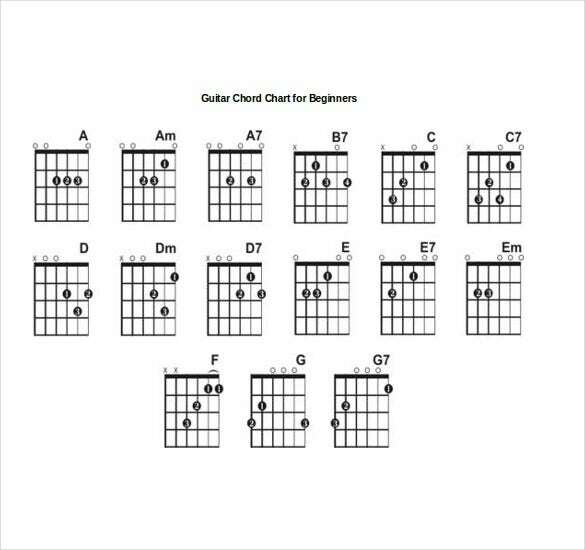 guitarchordsmagic.com It can be difficult to create word documents for guitar chords. 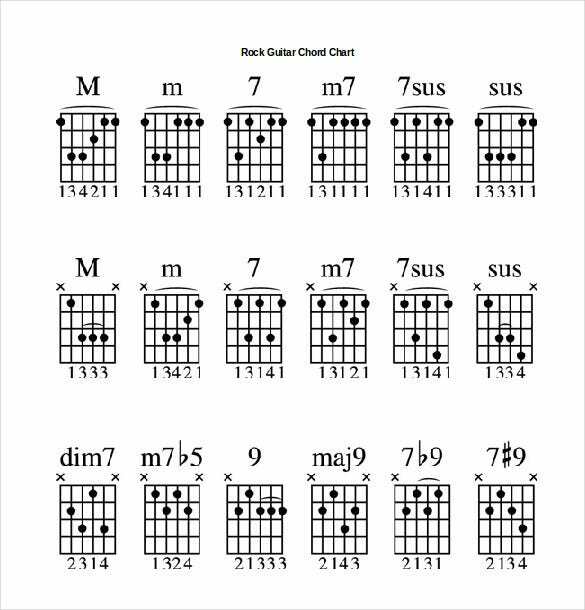 To make scenarios easier, we have introduced the word basic guitar chord chart template. 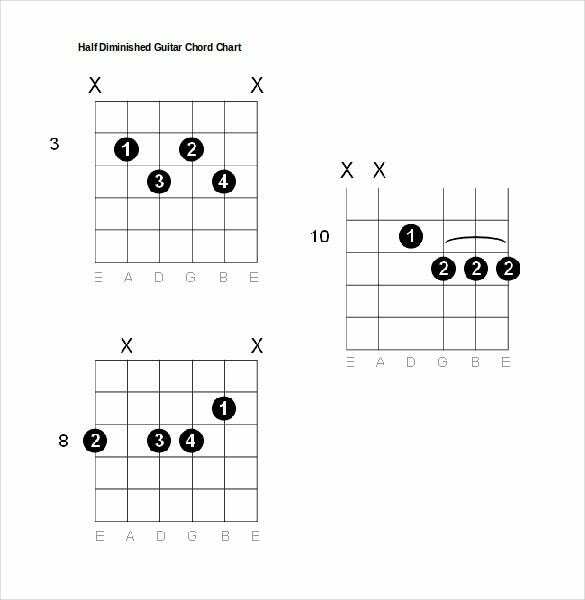 This template comes with perfect format to make it easier in creating the documented version of the guitar chords. These templates are free to download. 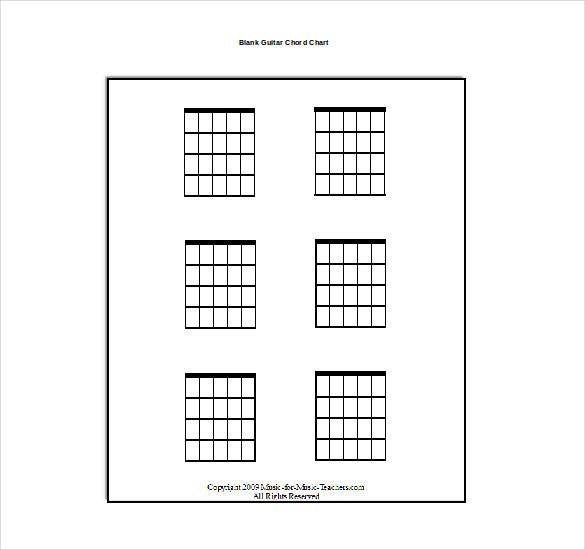 music-for-music-teachers.com Use our free to downloadable blank guitar chord chart to create and document the musical notes. The template can be downloaded in word format. It is easy to use and customize. The formatting is niche in terms of design and simple to use. This kind of a template would cater largely to musicians and guitar artists. For Word based chord charts it is a good idea to have a progressive approach and list out the chords in a constructive phase that are subject to change. Once you are fully convinced that you are happy with the Word File you can either choose to save/download or print it for backup. Make sure the structure you follow is in line with what you are writing for easier understanding. It is a good idea to experiment with different styles of chart samples on Word before you conclude and choose. It has to be easy to understand for beginners and veterans alike. Different playing techniques require different styles of writing to convey the music. 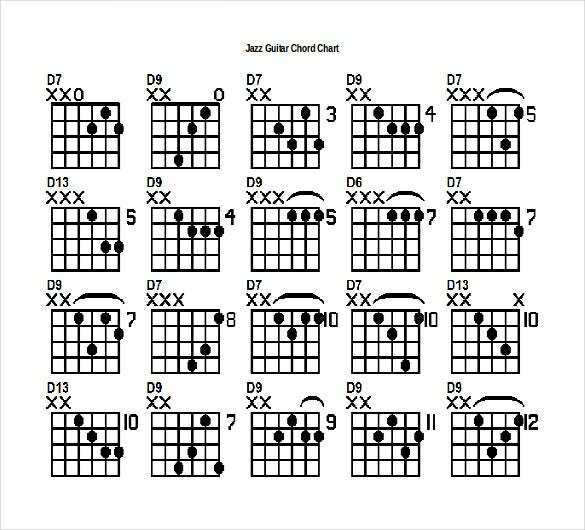 A niche and clear guitar chord chart template can make your work a lot easier. 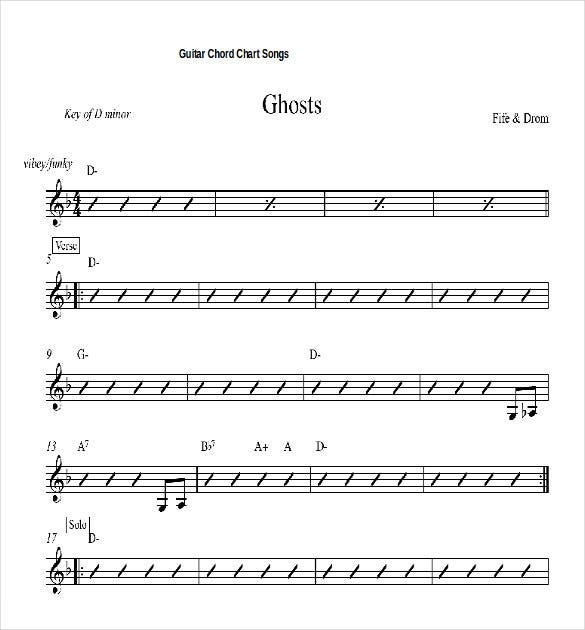 These templates are perfectly apt for musicians, both professional as well beginners. These templates are perfectly apt for the students of music industry. 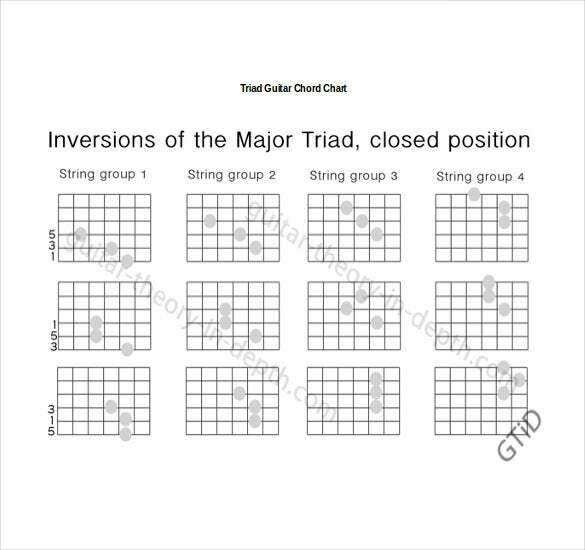 Those who are taking up guitar learning course will find it easier to maintain the chord charts using these templates. These templates are perfectly well formatted to suit your requirement. Music teachers will also find these templates highly beneficial and can make sure that the chords and tunes are perfectly managed as per the requirement. These templates are free to download in word format. They also promise to be printer friendly.